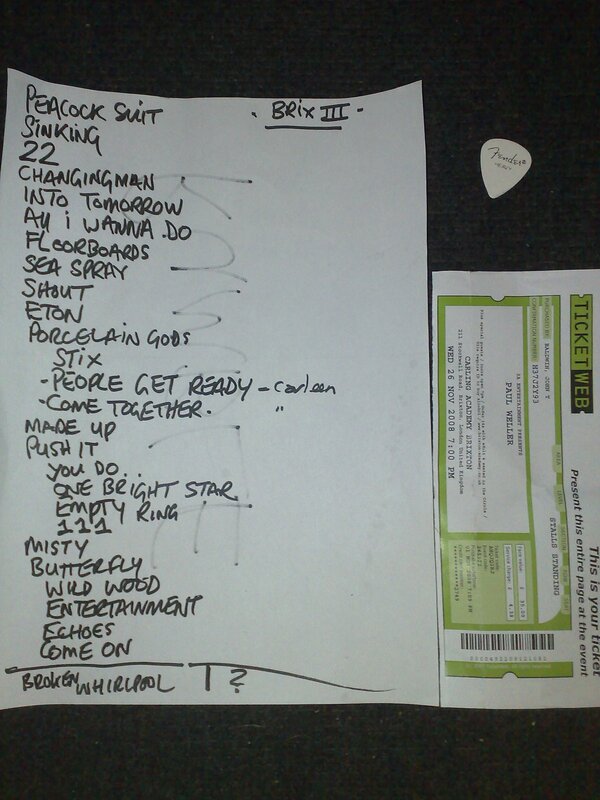 Paul Weller In Brixton – Set Lists "Brix II" And "Brix III" – Paul Weller News! 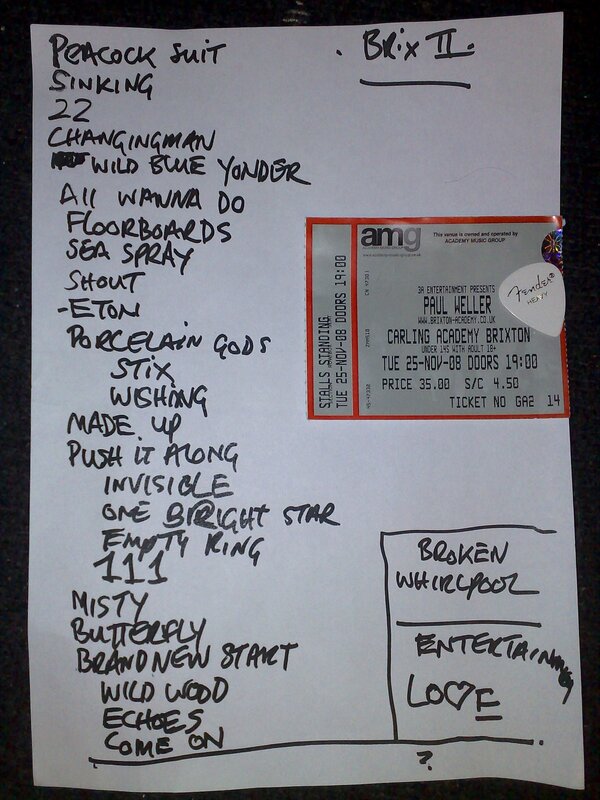 Paul Weller In Brixton – Set Lists "Brix II" And "Brix III"
1 Comment on Paul Weller In Brixton – Set Lists "Brix II" And "Brix III"
All Mod Cons has posted an excellent review as well as pictures from both nights over at his blog. Please click below and pop on over to check it out. Does anyone have the setlist for Brixton 1? Did he do ‘Wild Blue Yonder’? Previous Entry Profile And Interview With Paul Weller’s Cover Art Designer, Simon Halfon!